Hospitals in Thailand are one of the Best hospital in FarEast. Don't you think that Best Hospital deserved Best Computer IT System. Thin Client Network Co.,Ltd. Proudly presents Thin Clients for your Hospital. Our Product Thin Clients guarantee by QAIC of ISO 9001:2000 from our manufacturer oversea. 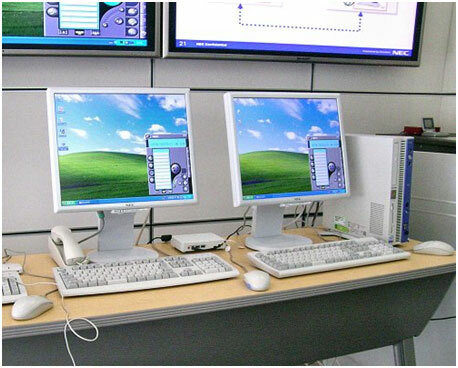 You can Choose Thin Clients to respond for Hospital's Administration such as, Accounting and Financial Department, Medical Supports Department, Information Technology Department, Health Care Service Department, Human Resource Deparment and many more. TCNsolutions will served your Hospital to The Highest Standards. With Low-Cost prices. Wired or Wireless and Many solutions offered. Centralized Data Collected. Kept protection for confidential files. Provide authorized only log-on for regular users. With Server Based applications allow IT supervisor monitoring easily from central unit. Smart Cards are availible for more security. Biometric System or Smart Card can acquire for high security. TCN shows IP Address of users provide great confidence and reliability. Greatly Reduce Maintenance Expenses. Compare with Thin Client, Regular Computer requires more maintenance costs due to its moving parts. Less Power Consumption. TCN consumes power only 12 Watt. where regular computer uses 250-450 watt. Easy Management. When all software resides on servers then technology staff members can maintain and manage resources easier. Convenience Lifestyle in hospital for able to connected with Internet Anytime. Regular customers have use Internet through Kiosk Hub. Our Thin Client doesn't need frequently maintenances like ordinary computer. Notarized for Hospital Systems and Clinic. Thin Client provides an Update-Online status of instock materials, medical supplies, and others related. 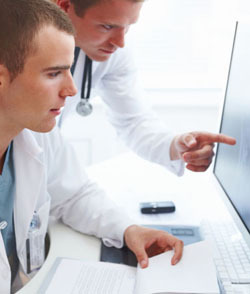 Thin Client also provides secure arrangement of Medical Records. All informations can be easily obtains from servers. Visitors who have visited The Hospital are looking for general informations.Thin Client allows customer for any line of inquiry they preferred. When Hospital deploys any update news on the server, the updates are immediately available to all Thin Clients. Hotel Business for public relation enhancements , save energy and more. Government Service for people who have received theirs services can use Thin Client searching for Information on the internet. Restaurant and Lounge for modern presentation in available menu, special promotion shown on screen, along with food festival entertainment. Deparment Store offers Touch Screen Connection. Customers can easily search and located site-spot shopping area, PR and more interests at heart. Thin Client Computing will help Government and Non-profit Agencies providing the people for highest services quality in good governance accordingly with administration policy. Thin Computing use Embedded System Technology providing its high perfomance with sealed box designed for high security and virus prevention. 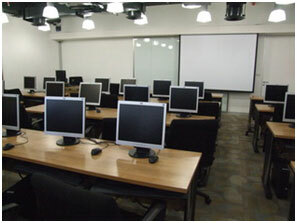 Thin Client use less energy than 12 watt consequently of energy saving policy. consist no fan or other moving parts for quiet operation and reliability. Many peripheral devices connections reducing installation times in just a minute. Administrator can manage and monitoring online status from central control including install programs or updates applications provide easier maintenance. 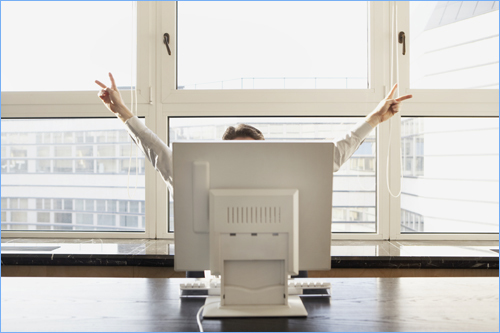 Offering organization great benefits from " Thin Client." Thin Clients is one type of computer with prominent feature in its programe. Use mainly process in server based. Thin Client itselfs acting like Terminal which has hardware less complicated than normal computer. Consequently to easy maintenance, much endurance and low cost solution. Offering government agencies great benefits from " Thin Client." How Does Thin Client Work? The working part of Thin Client can be divided into three parts as following. 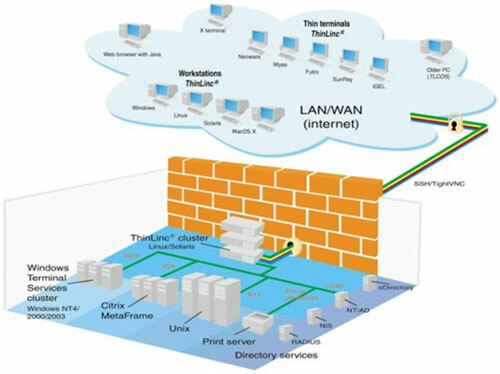 Third Part : Network infrastructure, Lan, Wan. Systematically, all working together.Begining from each user log on to one another screen. Then,connected systems through Lan or Wan. Also can prevented unsecure connection. The appearance of Thin Client normally like computer but much smaller size. By reduced internal instruments combined into mainboard. " Thin Client." Manufacture under " Nano Technology. "or "Embedded System Technology" which is a specialize computer system that is part of a larger system or machine. Typically,an embedded system is housed on a single microprocessor board with the programs stored in Rom, but many are so specialized that the entire logic can be implemented as a single program. Providing the organization for low cost solutions, wire or wireless high performance and friendly to environment use energy only 5-12 watt. Thin Client software can easily upgrade by upgrade once only on server. 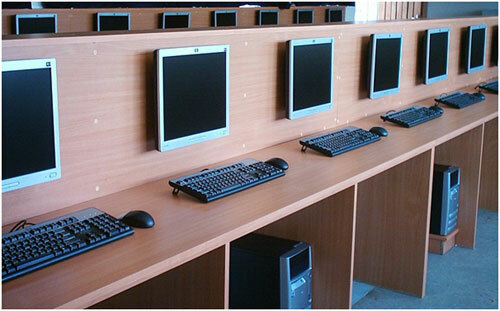 Offering goverment agencies low-cost management and maintenance costs. All Thin Client devices have been approved Certified by QAIC to the standard of ISO9001:2000 sinced August 2005 from our manufacturer oversea. This means that our customers can get international standard guarantee for the products they buy from us. 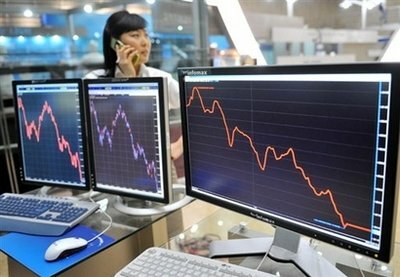 as it received highest demands and great reputation from customers/distributors all around the world. TCN Engineer can call you or meet with you to discuss your project needs. And then adapted installation based on your requirements. 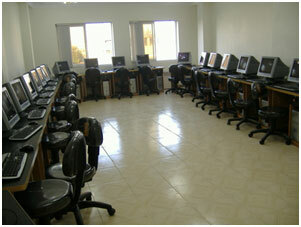 We ready to serve you with our friendly services in best quality and negotiable price. Including, one of many service channels following your requests.